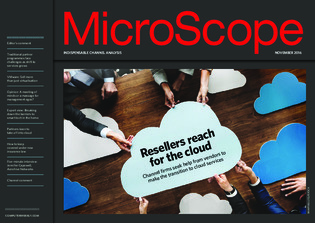 This month, we take a look at the cloud and the role that the channel can play in getting customers to the promised land of using hosted applications and services. Customers are facing a need to embrace digital transformation and, as Billy MacInnes finds out, that means there are plenty of opportunities for resellers to help out. VMware gathered partners at its annual European shindig in Barcelona with a message for its channel to sell more than just its core products as it looks to increase its presence in the cloud and security worlds. Channel businesses can take advantage of the rise in smart technology aimed at the home by offering much-needed advice about the interoperability of devices, says Rod Slater, head of smart tech and IoT at Exertis.